The Rock gets intimate with Ken Shamrock, Mike Tyson forgets Austin's name, and Foley enters the Rumble three times. 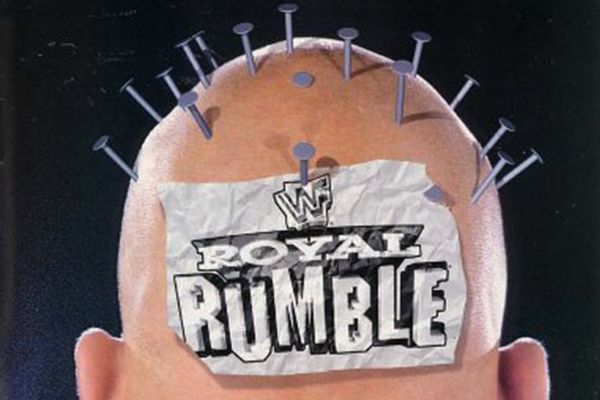 The 1998 Royal Rumble is a decidedly strange pay per view. The Rumble match itself certainly can't be regarded as one of the best (in fact, a strong case could be made to suggest it's one of the worst) but it's definitely one of the weirdest. This weirdness clearly seeps through to the rest of the card, as the whole event is chock full of WTF moments. 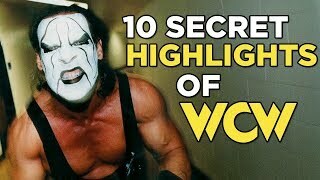 We're treated to a bizarre opener in the form of Goldust vs. Vader, a tag title shot for the ageing Legion of Doom, and a heavily Russo-influenced WWE Championship bout between Shawn Michaels and The Undertaker. That's before we've even covered the various backstage shenanigans, a classic Dusty finish halfway through the show, and a six-man tag between two teams of midget luchadores (inexplicably refereed by Sunny, of all people). Oh, and Mike Tyson was in attendance too. Add all these ingredients together, and you've got a prime WTF cocktail on your hands. Let's dive straight in. Here I was, hoping for a nice gentle start to ease us in - and we get this sign straight out of the gate. 'Tyson Killed Tupac'. It rolls off the tongue, in fairness. It might seem a deliberately absurd sign, throwing two iconic names of the '90s together and hoping for the best, but check out that guy's expression. Not a flicker of mirth. There's every chance he actually thinks Mike Tyson killed Tupac. For what it's worth, Tyson is then shown in a skybox as Vince McMahon's guest - and gets horribly booed by the San Jose crowd.